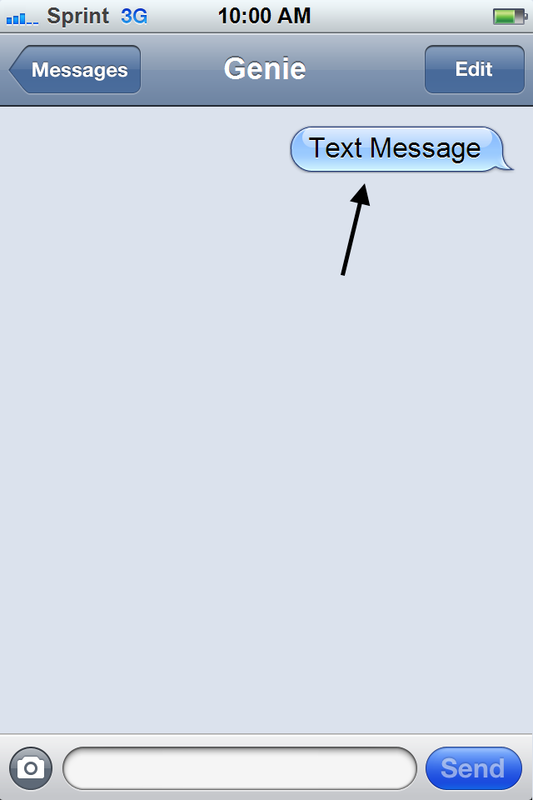 Your Ex Girlfriend Keeps Texting You… What Does It Mean? So, if you didn’t notice we have a few new additions to Ex Girlfriend Recovery. If you boil my job down to the simplest level what I basically do is write these super long guides on exes to attract visitors and then once I have the visitors (if they like me enough) the will buy a product of mine that they think will help them. But the truth is that the thing that matters most is the quality of the content that I am providing you on this website. So, in an effort to stay ahead of the game I have decided to implement two new things to EGR. I figure that these features should provide a lot of value to you so you can quickly get to the sections that you want to read and understand exactly how long it’s going to take to read an article from start to finish. Lets get to the real reason you are here. Your ex girlfriend is texting you. I’ll admit that it’s not very often that a man finds himself in this situation. Most of the time the men who come to this website are super desperate to get their ex girlfriends back and end up spamming them with text messages of their own. But that’s not the case for you, is it? No, it seems that your ex girlfriend is the one texting you a lot after the breakup. And I am sure you have a lot of questions. Is it possible to get her back? Do I even want her back? Well, I am going to answer all of those questions and more with this article but first I need you to understand something. The first thing that you have to understand about an ex girlfriend texting you after a breakup is that there are generally three levels to the intensity of the text messages. Maybe I should give you an example. 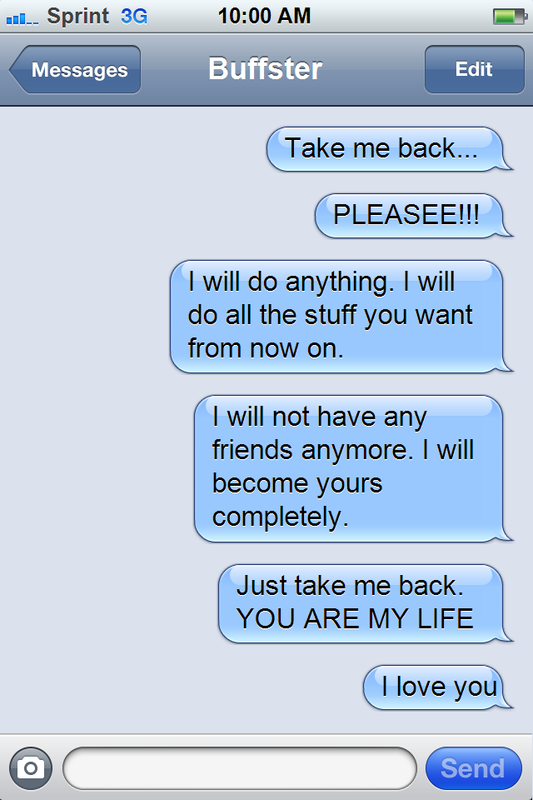 Ok, lets say that it’s been a month after your breakup from your ex and she has only texted you a total of five times. I would say that’s pretty average. But what if she had texted you 35 times? Don’t you think that the intent behind someone who sends you 35 text messages versus someone who sent you only five is different? Well, that’s what this section is all about. Like always, I am going to give you an in-depth explanation for each of these three levels. Lets start with the light level. Your ex girlfriend would be classified under the light level if she texts you but not a lot. According to this article 71% of people say that they think about their exes too much after a breakup. Well, it tells us that when you think about someone the intent to talk to that person is there. Granted, that intent may be buried deep inside and hidden under anger and resentment but it’s still there. And while I don’t have an actual statistic to throw out at you I can tell you that based on my experience of helping THOUSANDS of couples who have broken up I will say that more often than not you and your ex will talk again. But I am getting way off topic here. The point I was trying to make was that with the light level an ex girlfriend isn’t going to have texted you a lot. Maybe she texted you very sparingly after the breakup just to feel you out. What does it mean if she only texted you lightly? We still have two more levels to get through. 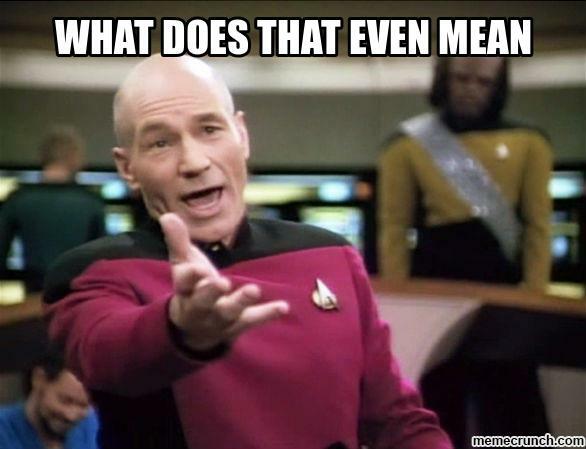 Your ex girlfriend is in the medium level if she texts you often but not “too often” if you catch my meaning. Let’s say for arguments sake that the light level is receiving between 3 to 7 text messages from an ex girlfriend after a breakup. Well, the medium level would be if you received something like 8 to 13 text messages after the breakup. Maybe I should classify what I mean by “text messages” in this instance. So, if you received 8 to 13 of those then your ex would be considered to be in the medium level, right? Well, because what really matters are the amount of texting conversations you have. 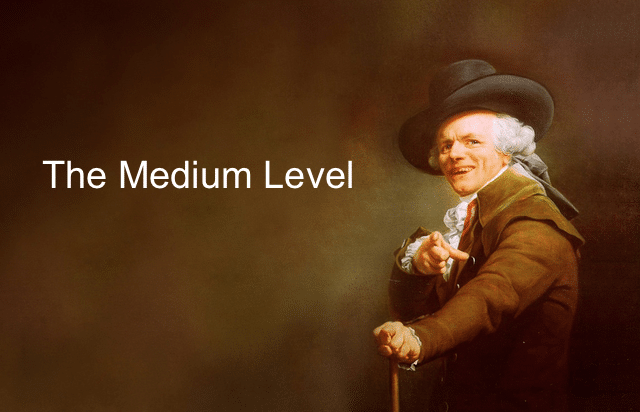 In other words, if you have 8 to 13 text message conversations then you are considered to be in the medium level. Maybe I should have been more specific about that from the start, huh? I meant text conversations instead of text messages. Ya, those annoying little things that fly around your head and keep flying no matter how many times you swat at them. But GNAT does stand for something else. In this level your ex girlfriend texts you an insane amount of times. We are talking something insane like 25 or 30 times. Oh, and in case you skipped of the last section when I talk about texting in this instance I am talking about the amount of texting conversations you are having not the actual amount of text messages sent. But what does it mean when an ex girlfriend texts you this much? What Does It Mean When She Texts You? So we are going to do something a little bit different with this section. It’s not going to be anything too complicated. Basically this section is going to tie directly into the section above where I talked about the three levels. Well, if you noticed above I went into what the three levels were but I never really went into what they meant or what was going through an ex girlfriends mind when she was engaging in those levels. And explain what they mean. More specifically, I am going to explain your ex girlfriends intent during the levels. What It Means If Your Girlfriend Is In The Light Level? If your ex girlfriend is in the light level it means she is just going through the average emotions that a woman is supposed to go through during a breakup when she texts you. She just isnt going through them as often as other ex girlfriends may be. You are aware of the five stages of grief right? But what do these stages look like? Your ex girlfriend has the potential to text you during any one of these stages of grief during the light level. However, I will say that she is more likely to text you during denial, anger and acceptance. Ok, lets imagine that your ex girlfriend is in the denial stage of the grief process. What would a text from her look like? It would look like there is nothing wrong. 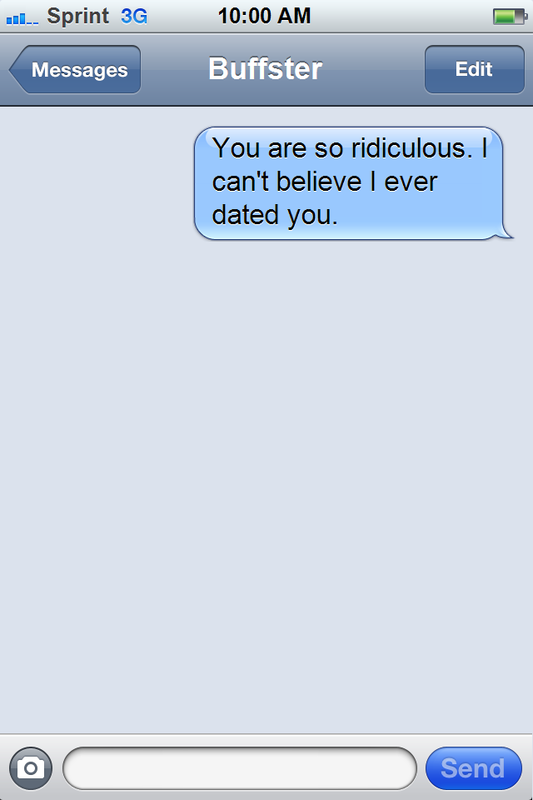 Remember, she is in denial so she is probably going to text you like nothing is wrong. Of course, deep down she understands that a breakup occurred so she isn’t going to go overboard with this and an important thing to remember is that the denial stage won’t last forever. Next up is the anger stage. Now, I bet you are wondering why I chose the “light level” to talk about the anger stage, huh? Well, what happens during a fight in a relationship. There is a lot of talking… yelling… screaming… and hurtful things said. And then there is a period of quietness as each party waits for the other to do something or make some apology. This fits perfectly in with the light level since she isn’t going to text you in an over the top manner. Anger texts from an ex girlfriend are a flash in the pan. She will text you a bunch of times in a short span and then it dries up. This is especially true when you are dealing with a breakup. What does an anger text look like? And then finally we have the acceptance stage. Depending on if you want your ex back or if you just want her to leave you alone an acceptance texts are really good or really bad. Really good if you want her to move on and really bad if you want her back. 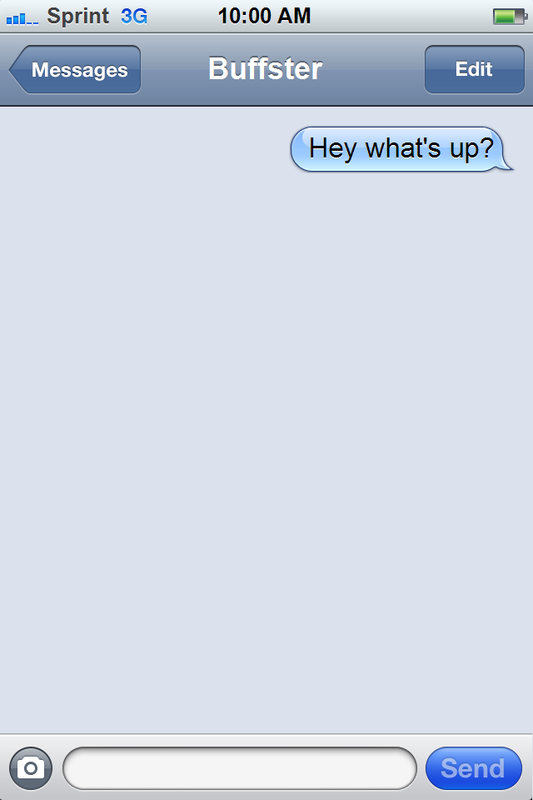 An acceptance text is basically the “lets JUST be friends” type of text. Or any text that’s friendly but no real conversation happens after it. Hmm… How can I put this to you in a better way? 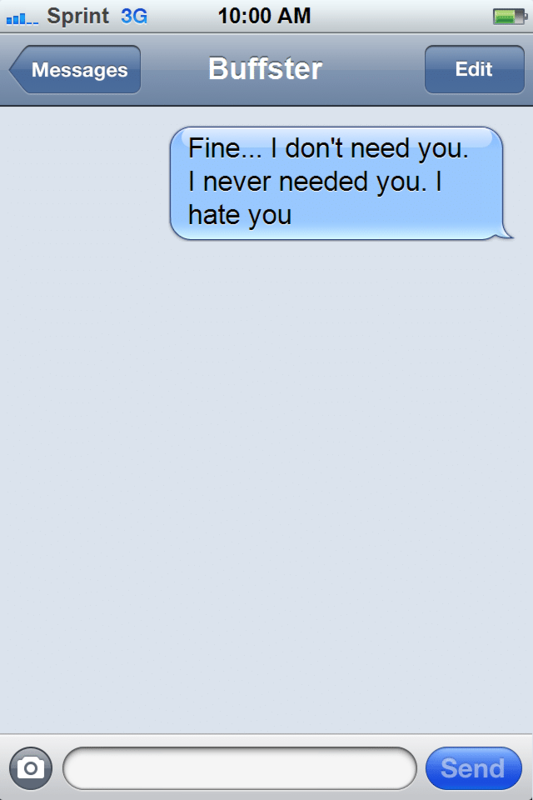 It’s sort of like when you have a friend (who is a girl) that you have no feelings for texts you and you text back. That is the acceptance stage text messages. 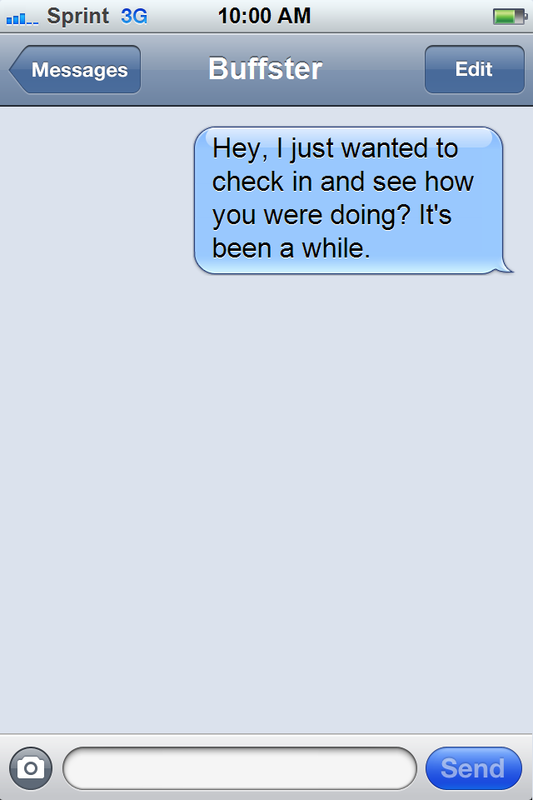 Imagine receiving this text message after ten days of not talking. Alright lets move on to the next level. At What Point Of The “Ex Girlfriend Recovery” Strategy Is She Texting You? So, what stages of grief show up during the medium level. Well, technically, like I said above, all the stages can show up but there are really only two that are more prevalent than others. So, the thing that I really want to talk about with this is the fact that I did say denial can show up in the light level. I basically said that your ex girlfriend will act like a breakup never happened but eventually catch on that it did and stop texting you as much. Well, an ex girlfriend who continues to text you like there is nothing wrong and doesn’t seem to stop is probably going to be in the medium level. In fact, I have heard some stories where men have actually had to sit a woman down and explain to them that they don’t want to hear from them again. Anyways, my friend ended up dating a girl who he liked at first but for some reason he just grew tired of her and decided to break up with her. 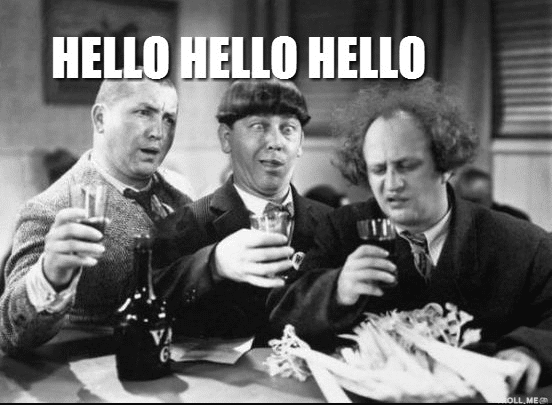 Fast forward about three days and I get a call from my buddy. So, if your ex girlfriend is acting like the breakup never happened and she hasn’t shown any signs of letting up then she is definitely projecting denial during the medium level. Of course, there is another stage of grief that shows up quite frequently during the medium level, Bargaining. Please, please, please take me back. I will do anything. I will be the perfect girlfriend. I will give you massages and buy you nice things. I just want to be your girlfriend. Basically when it comes to bargaining your ex girlfriend is going to beg for you back and try to frame the begging with the fact that she is going to do a better job the next time around. However, she isn’t going to do this on an extreme level. She isn’t going to become a GNAT. Care to take a guess at what stage of grief really dominates the GNAT level? But with a little touch of anger and depression. Lets talk about bargaining first. With the medium level I explained to you what bargaining was BUT the GNAT level takes bargaining to a new level. This is essentially bargaining on steriods and it is what highlights the GNAT level. But like I said above, the GNAT level isn’t only laced with bargaining. Nope, a touch of depression and anger also enter it. You have just sent your ex boyfriend a ton of bargaining text messages and he hasn’t responded to them. I mean, you poured your heart and soul out in these text messages and got no response. And then a certain amount of clarity hits you. The clarity that the breakup is real and your ex boyfriend never really cared for you. Ugh… it’s so depressing 😉 . This is depression and anger during the GNAT level in a nutshell. 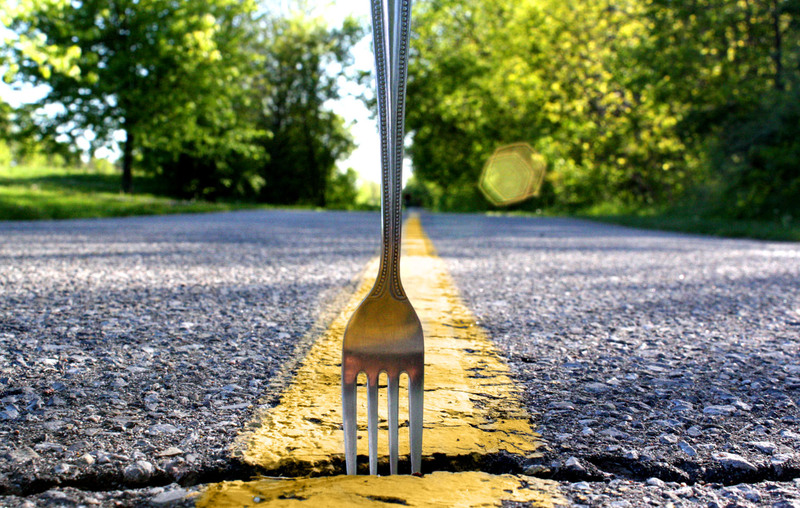 Do you know what a fork in the road is? It’s defined as the point in a road where it branches in two. Throughout this entire guide I have been trying to explain what is going through your ex girlfriends mind if she texted you after a breakup. 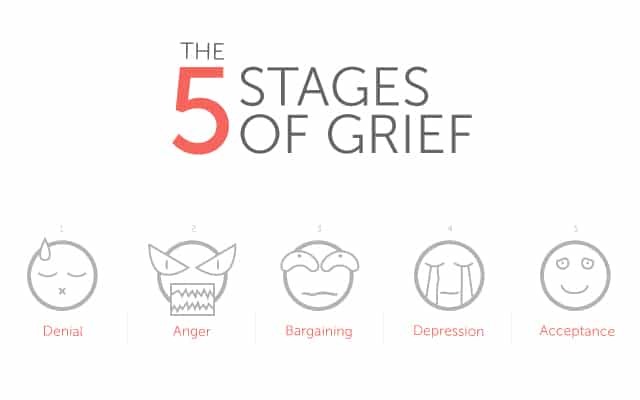 I feel I have done a pretty decent job of explaining it with the five stages of grief. But what happens next is entirely up to you. Well, we have come to the fork in the road. Ugh… don’t you guys listen at all? A fork in the road is basically an intersection that divides in two. I swear… sometimes I wonder if it’s worth my time to even create these posts for you. And this “fork” basically represents two choices on what you can do with the information I just taught you. 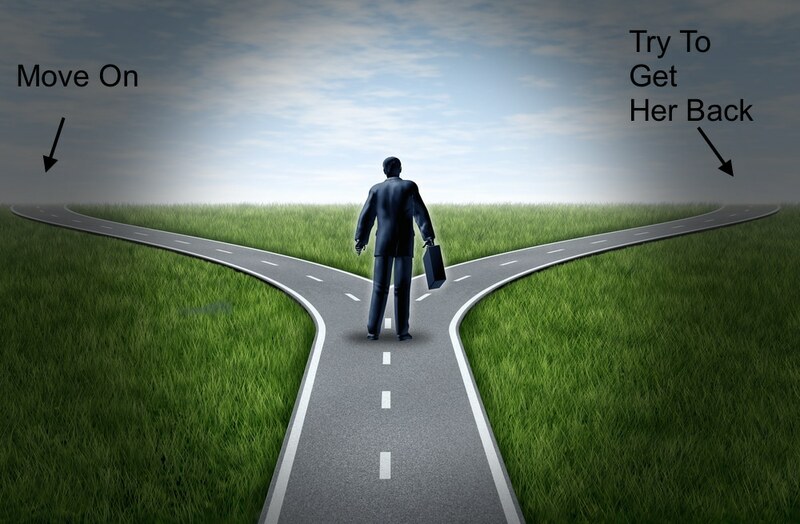 Now, I can teach you to do both things but it’s really up to you on what you want to do. My only piece of advice here is to do what you think is best for you in the long run. A lot of times men get what I like to call tunnel vision. Basically they zone in on one girl (often their exes) and do everything they can to get her back when if they were to look at the situation objectively from the start they would have realized that getting her back isn’t going to be worth it. Because the challenge of getting a girl back is appealing. I mean, lets be honest here. But the idea of the challenge was appealing to me and I bet if you have tunnel vision you are just like me with regards to the challenge. So, do yourself a favor and drop the tunnel vision for a moment and look at your situation objectively. Ok, well let me help you out. It turns out that I have put together a diagnostic tool for you to use to determine if getting your ex girlfriend is really worth the effort or not. In other words, I am helping you determine which path to take in the fork. So, if you took the time to download the diagnostic tool above you will notice that there are 29 yes or no questions found there. However, there is no key or legend that tells you what answering yes or no means. I did this on purpose so you would come back here and finish reading the rest of this article. Now, I am a big believer in keeping things simple so here is the most simple way that I can explain this. In other words, the more yes’ that you get the better and the more no’s that you get the worse. But how many yes’ will it take for me to recommend to take the path of getting an ex girlfriend back? Well, I say that if you can answer yes to 80% of the questions on that list then I can give you my blessing. In case you can’t count that comes out to 23.2 questions. But lets round down and say that you have to answer yes to 23 questions.